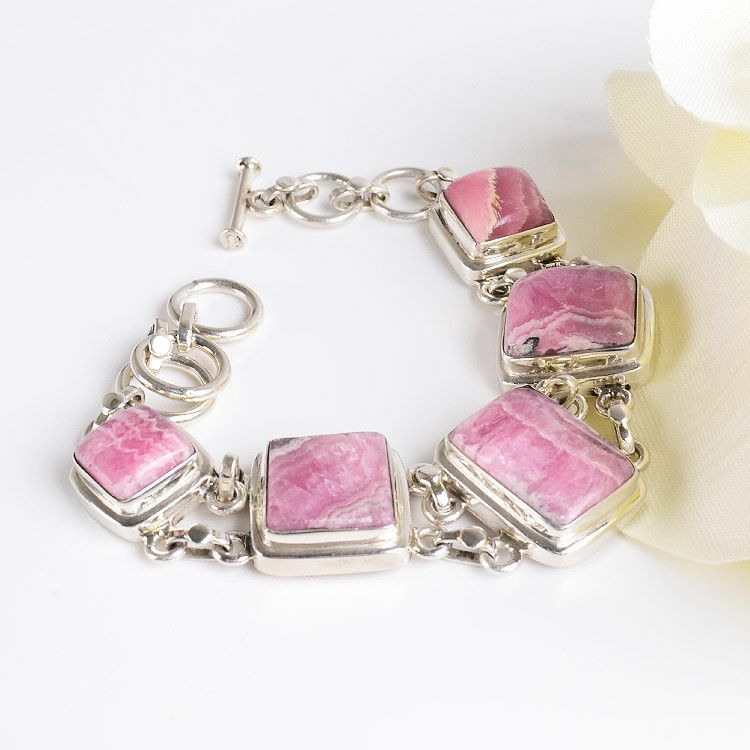 This authentic rhodochrosite bracelet in sterling silver was masterfully hand-crafted especially for The Russian Store. 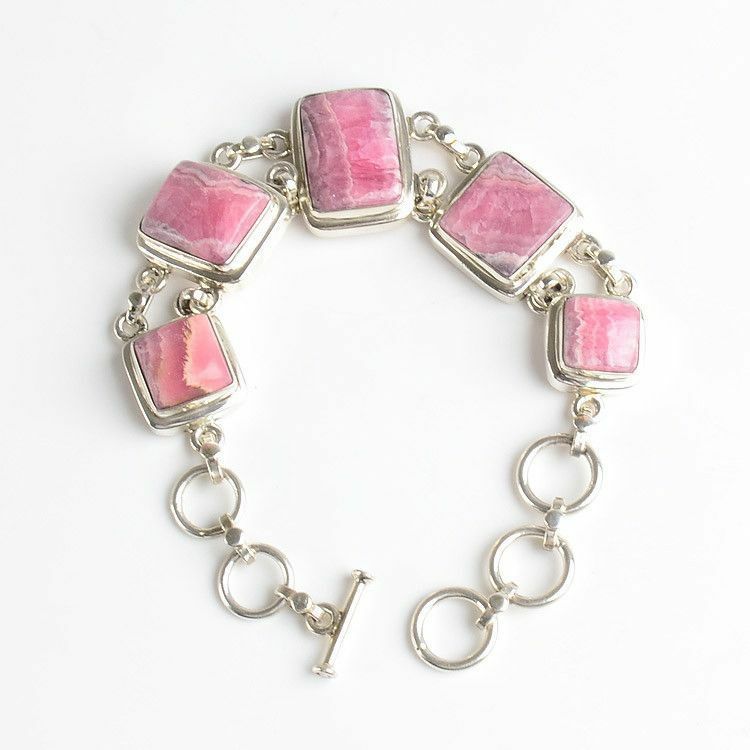 It consists of five handpicked and polished stones that are softly ornamented by modern style design. 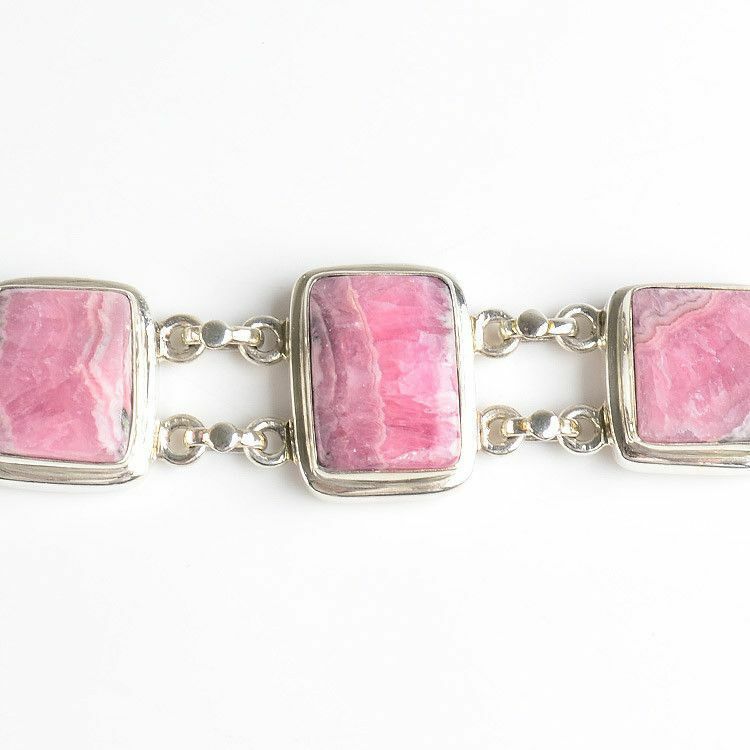 The center stone is the largest, measuring at 3/4" long. 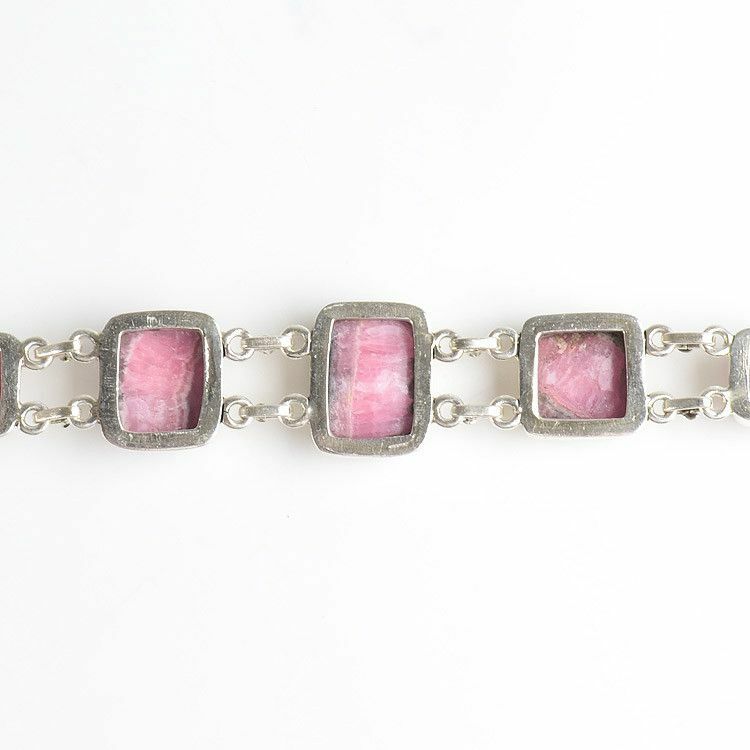 This unique adjustable bracelet would make the perfect gift for that special someone.